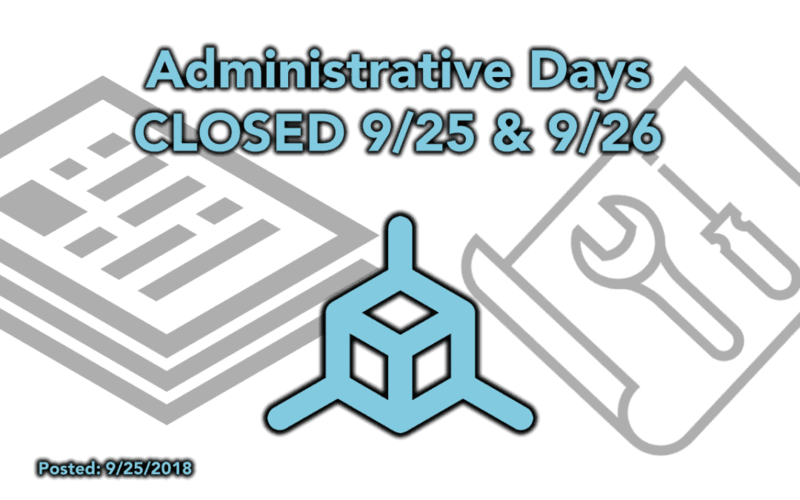 On September 9/25 and 9/26 we will be closed for Administrative days. We use these days to get caught up on internal accounting work, inventory management, and product development/documentation. Orders will not ship on these days so expect delays on orders placed during this time and orders made after them may take 1-2 extra days to process. Our support may be slightly impacted for tickets assigned to Tim and Samantha. General support tickets handled by Mac will still be handled as he will still be working on these days. Thank you for your support and sorry about any inconvenience this may cause.